The City of Palaces, Mysore retains it’s the old world charm and continues to be ranked number one among tourist locations in the country and 4th best tourist city in the world. 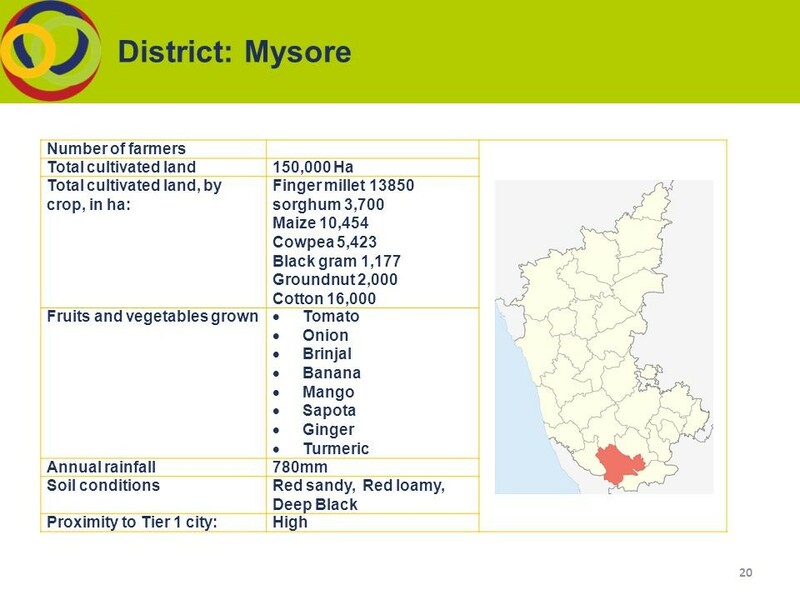 Mysore has a tropical savanna climate designated and rainfed crops would continue to dominate in the agriculture of Mysore district. The City of Palaces, Mysore retains its the old world charm and continues to be ranked number one among tourist locations in the country and 4th best tourist city in the world. Mysore has a tropical savanna climate designated and rainfed crops would continue to dominate in the agriculture of Mysore district. 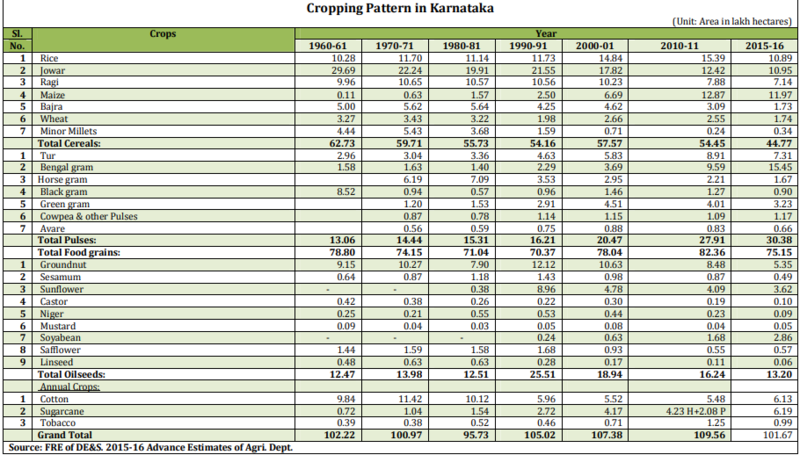 Mysuru (Mysore) has a growing focus on agriculture economy with 41.8% of the net area under cultivation. It cultivates major crops like Paddy, Maize, Ragi, Jowar, Bajra and Wheat. Pulse varieties grown include Tur, Horse Gram, Black Gram, Green Gram, Avare, Cowpea, and Bengal Gram while Commercial crops like Sugarcane, Cotton and Tobacco. Paddy has dominated as first ranking crop, the rainfed crops like Ragi, Jowar, Mulberry have acquired second position and under the third ranking crop other pulses, Groundnut, ragi, jowar and cotton and Sugarcane and groundnut as occupied fourth rank and in fifth Sericulture, which has emerged as subsidiary occupation among the rural folk as, enhanced the expansion of land under mulberry cultivation in the wet taluks. The GDDP trend has been growing at 7% CAGR from 2007-8 to 2012-13; with agriculture and allied industries along with sector tie at being the highest contributors at 4.6% each for 2012-13. The industry sector contributes 4.4 %. Specific agro processing units with value chains for value added food products is a potent opportunity. Other ancillary like organic food products packaging and export have resulted in a food cluster in Mysore.